For the first time in the history of the Dunkin’ Donuts Center, Tuesday night featured the first ever matchup between two top ten ranked teams (since 1972-1973). The game was very up and down for the Friars and Xavier was able to notch their first road win over a top ten team in the past two decades. The game came down to a coupe of factors. 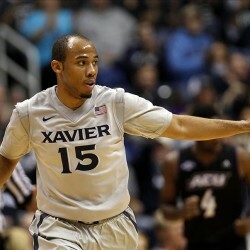 One, Xavier’s depth combined with PC’s lack of depth. Two, offensive struggles continuing for the Friars, both in terms of 3-point shooting, bench scoring, and no third option scorer. And three, the 1-3-1 zone of the Musketeers draining the shot clock and keeping multiple guys on Kris Dunn at all times. This won’t end up being a bad loss for the Friars to have on their resume because Xavier looks pretty legit, but Providence needs to play with a sense of urgency and aggression in the first halves of games, especially at home. The Friars are undefeated in true road games this season, which is fantastic, but they have already dropped 3 home conference games this year. 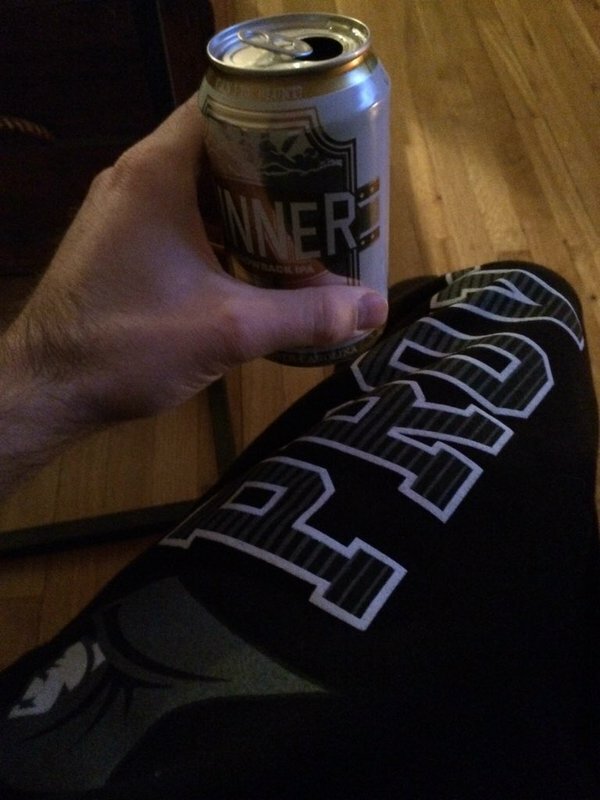 Since I’m trying to find the right combination of alcoholic beverage and PC article of clothing, let’s see what we we’re working with. Providence matches up much better with the likes of Villanova and Butler in the Big East than they do with teams like Xavier, Creighton, and Marquette. It’s not just because they lost to those three teams (all at the Dunk), but it’s because of their size and having multiple skilled big men. Beyond Ben Bentil, the Friars don’t really have anyone who can match up with that kind of size. The fact that the Friars are so thin in their depth, also has them playing a lot of zone to keep Bentil and Dunn out of foul trouble and to provide a bit of a breather on the defensive end for their two-headed monster. The Friars go as Bentil and Dunn go, but there needs to be a third option each game for them to compete against the top teams in the league. That third option can rotate between different players from night to night, be it Bullock, Cartwright, Lomomba, but there needs to be scoring coming from another source. This is the quote that pretty much sums up the game. Three point shooting…sorry, I mean the LACK of three point shooting, has been killing the Friars. Providence started 1-19 from three point land in the game. Ricky Council should not get minutes unless its garbage time. Council came into the game and airballed two straight three pointers, as he pretty much seems to do every time he enters a game during a meaningful time. Council played 1 minute, took two shots, and hit nothing but air. Council is now 3-17 from three point range on the season (17.6%). He’s only attempted 1 two-pointer on the season…but at least he made it. Speaking of guys who are supposedly known as three point shooters, it was nice to see Jalen Lindsey hit a couple of threes. Lindsey was 2-6 from three, making his first three point shot since January 12th against Creighton. He had made just 1 of his previous 17 three point shots before knocking a couple down on Tuesday. He helped spark a late comeback at the end of the game. I legitimately think he just needs to see one go through the hoop at the beginning of the game and he gets in a mindset that his shots will fall. Maybe try getting a layup or a putback or something and go from there. Both Rodney Bullock and Kyron Cartwright really struggled to find baskets in this one. Bullock finished 1-9 with just three points and had a tough time finding his spots against Xavier’s zone. After three straight really good games from Cartwright, his shots just weren’t falling. His threes were pretty decent looks but some of his drives were a little out of control at times. I want him to keep up that attack mode against a zone like this and I’m expecting this game to be an anomaly from his recent good play. Ryan Fazekas and Drew Edwards looked and played their age in limited minutes. It’s games like this that freshman can gain that important experience though. Not only is Xavier deep, but they’re a very balanced team. Let me say a quick thing on each of those guys. Myles Davis – Very solid, good upperclassman leadership, good name that should provide endless nickname possibilities, and he’s not a day over 43. James Farr – Ended up fouling out as the refs blew their whistle every trip down the court in the 2nd half. He has farther range than I expected and found the sweet spot on the baseline against the PC zone in the first half, connecting on 3 straight midrange jumpers at one point. Jalen Reynolds – The big man combination of Reynolds and Farr will cause matchup problems for teams. They’re both big bodies but can shoot the rock as well. 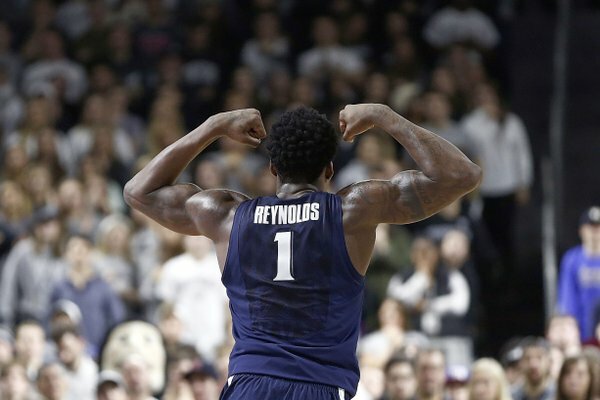 His muscle pose during the game was kind of ridiculous because he threw Bentil to the ground for an obvious offensive, caught the ball with no one around him in the post, and still was so slow that he had to pass it for the basket. Yes, I realize I’m biased. Trevon Blueitt – Another great name. That dude can ball. J.P. Macura – How is the guy not on Duke? I may have to re-do my All-Hateable Team. I’ll put him on the bench of that squad for now. That three he took, although maybe not the smartest shot, was a dagger. Just know that I hate you J.P. God, even the initials for his name are hateable. Just a sidenote, but Edmond Sumner played pretty terrible, especially after having a couple of solid outings since returning to the lineup. Kris Dunn pretty much shut him down as he finished the game without a bucket, shooting 0-9 with just 1 point. OK, onto a couple good things from the game. Ben Bentil was great once again, scoring a game-high 25 points on 8-18 shooting (7-9 from the line). He chipped in 6 boards and drained a pair of threes that coincided with Providence’s run in the second half that cut the game to 3 points. Kris Dunn finished with a pretty impressive stat line. It was the second time this year that he’s had at least 15 points, 7 rebounds, 7 assists, and 7 steals. Everyone else combined in College Basketball has ZERO such games. Dunn was a cold from three (1-6) and didn’t shoot the ball particularly well but he wasn’t getting much help from his teammates either. There was a crazy two minute stretch in the beginning of the game that was maybe the most fun ever and sent the Dunk crowd into a tizzy. I heard the crowd was bonkers the whole game too. Here’s what ensued after starting the game down 7-0. Kris Dunn’s defense off the ball is something else to watch. He has that innate ability to anticipate where the ball’s going. Next Up, the Friars travel down to DC to take on Georgetown on Saturday at 8 PM. I will be heading down to check this game out myself, so let’s hope that the road wins continue.